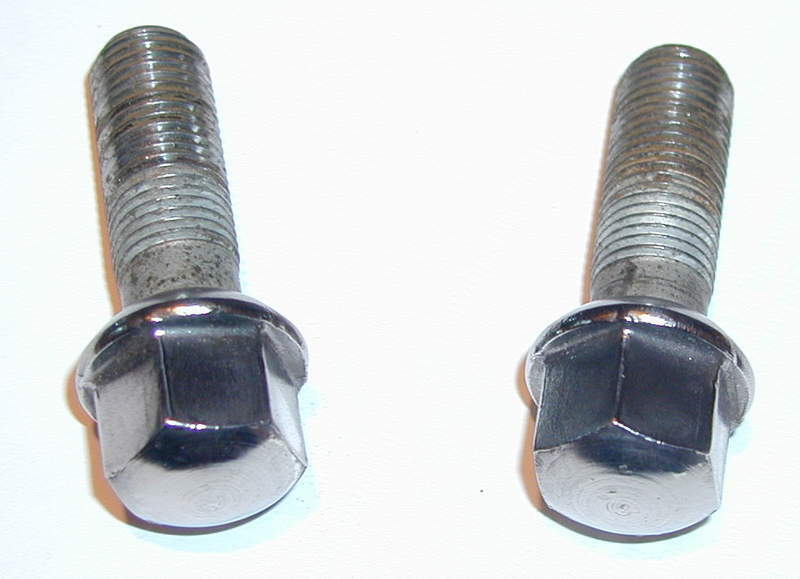 I just spent a couple of hours with a wire wheel on my lug bolt heads. They actually cleaned-up pretty nice. I finshed them using white rouge on a soft polishing wheel. I was shocked that they came out pretty shiny. The dark color on the top of the photos was caused by the flash on my camera. This is the best of the photos I took.